Support your active lifestyle with Hemp Extract Oil. 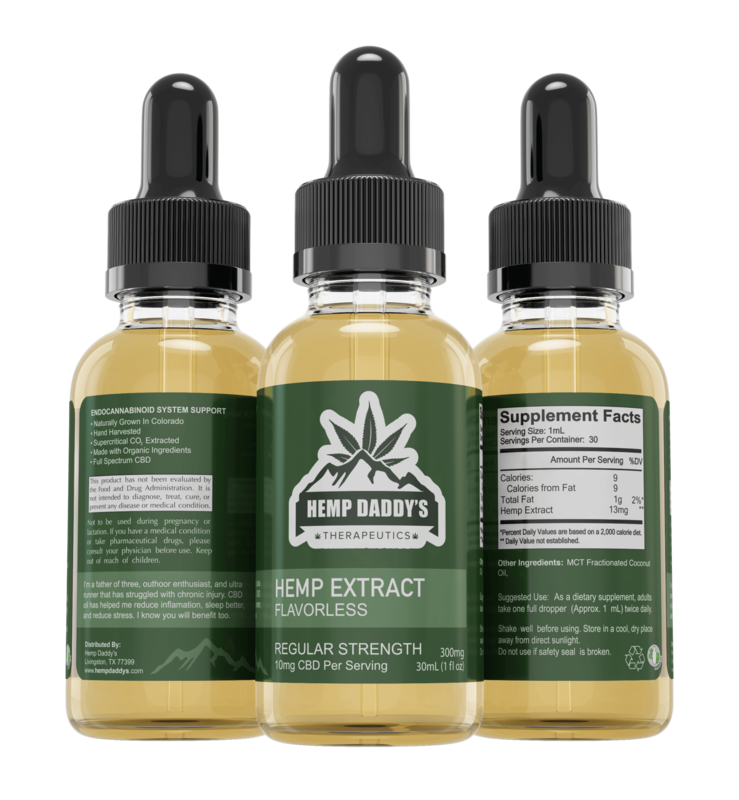 We offer flavorless (has a slight hemp flavor) and mint in 3 strengths; Regular Strength, Extra Strength, and Advanced Strength. 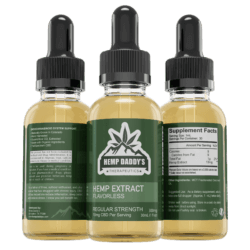 Hemp Extract Oil is a nutritional supplement extracted from organic, Colorado-grown hemp. 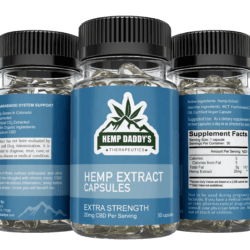 Take one to two droppers of Hemp Daddy’s flavorless hemp extract oil daily to enjoy a happier, healthier life and enjoy many benefits. You may need to experiment to figure out the proper dosage you need. Start slow, and work up. Please shake the bottle vigorously before use.